G.E.M. Going The Extra Mile August 2017 - Peabody Engineering & Supply, Inc. 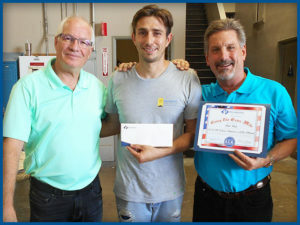 Nominated by his fellow Peabody Team Members – Congratulations to Paul Ruiz, who works in our Custom Fiberglass Fabrication Department, on being August 2017 G.E.M. Winner! I think Paul is an all-around hard worker. He always seems to be right in the middle of the job at hand. 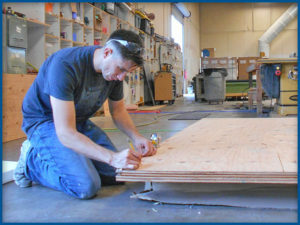 Whether it is loading a truck, working on the telecom projects or lending a hand to a co-worker. Paul is polite and always treats everyone with respect. I like working with Paul. He is easy to discuss ideas with and he is a good Team Player, He does a great job making molds for the telecom department. In my experience, he pays close attention to detail. Paul is an individual you want as part of your team. I know if a request is made of him that he will get it done and it will be done satisfactory. Whenever I look out onto the warehouse floor I can always spot Paul hard at work. 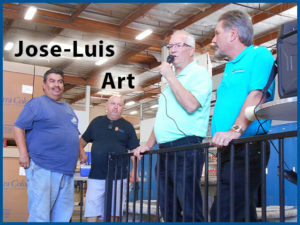 He puts his heart and soul into whatever project he is working on. Presenting his very best work which is not only a reflection of the company but a reflection of who he is, what he has helped to create and the integrity of him. He is always willing to lend a hand and he is polite and courteous as well! Paul is a go to employee. He looks for things to do. He focuses on what his jobs are for the day and completes each task. He notices things that need to be fixed. If he sees me in the warehouse he always asks if there is something he can help me with. Very polite man. He will work in any department and does what is asked of him. This is a man that takes pride in his work. 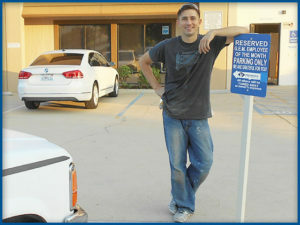 He smiles all day hot or cold and he encourages others (team mates, new-hires, temps) etc. 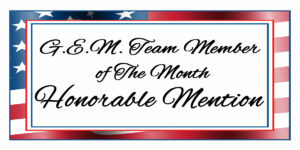 We also had 2 Honorable Mentions this month on two Peabody Team Members. their work duties and helping others!